You might well consider puppets ho-hum once you’ve had fun with an Animal Hand. 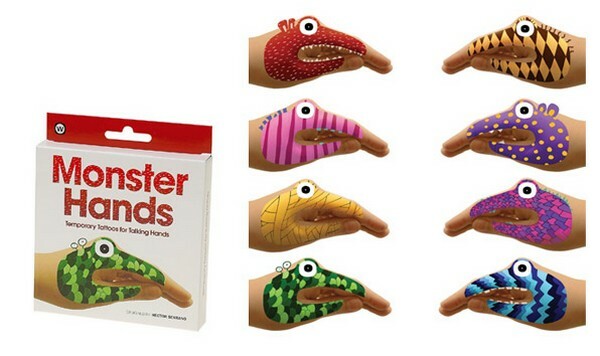 Created by Spanish designer, Héctor Serrano, Animal Hands turn your hand into a talking animal or monster with a simple to apply (and remove) temporary tattoo. Each box of Animal Hands contains eight different imaginary animals or monsters. They’re colourful, bright and appealing and just waiting for you to supply the animation. 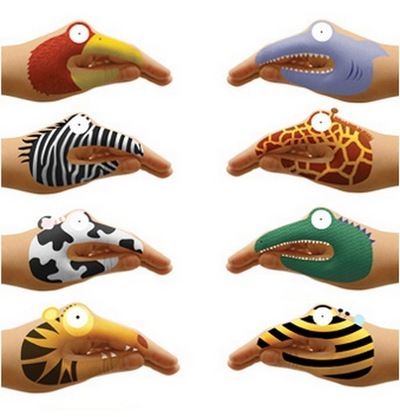 Animal Hands fit kids aged approximately five years and upwards. At only $6.95 a box, they’re a hands down winner. Available locally from Tribe. Katrina studied planning and design, did the hard yards working in a big office building and then traded it all in for a relaxing (!) life at home with four children. She now fills her time with writing, completing a degree in genetics and taxiing her children around Melbourne to their various sporting commitments (not necessarily in that order).